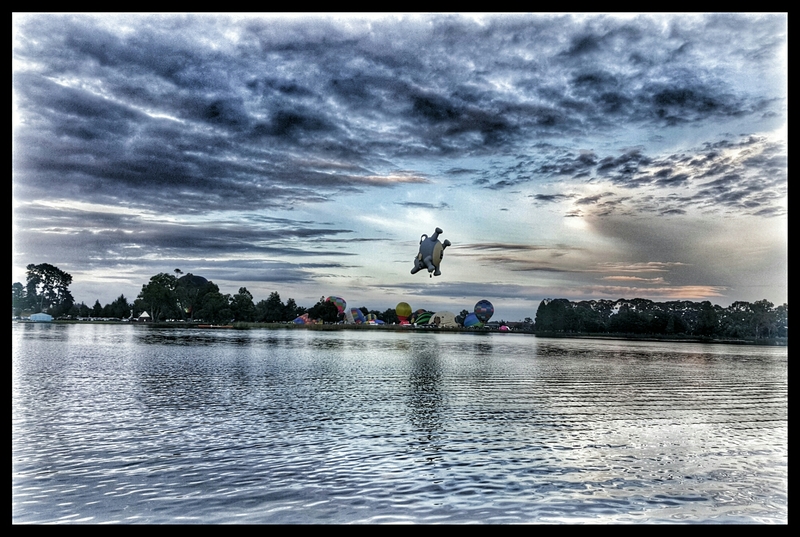 Balloons over Waikato -an iconic Hamilton festival. Timed my walk beautifully this morning… Ever seen a flying elephant (except for Dumbo)? I have. A still, warm morning, perfect for lazily floating balloons although some did seem to be struggling to stay up.